The 47 migrants on the Sea Watch NGO rescue ship off Italy's coast are enduring a situation of uncertainty as they are waiting to know whether they will be allowed to disembark in Europe, a stress that could have "life-long" consequences, psychiatrist Gaetano Sgarlata told ANSA in an interview. Sgarlata, together with a group of Italian lawmakers, was part of a delegation that visited the migrants on the ship on January 27 to spend a few hours with them.He said the experience could lead to a post-traumatic stress disorder, "with an impact that could last for their whole lives" and contribute to the development of further disorders, citing dissociative disorder and serious depression, with potential suicidal thoughts, as consequences. "We ask for their immediate disembarkment" because the conditions on board are "untenable - not only from a physical and sanitary point of view" but also "from a psychological standpoint," he said. The psychiatrist said that "the medical emergency was dealt with quite well" but the hygienic and sanitary situation on the rescue vessel "is very precarious although no serious diseases have been reported." From a psychological standpoint, the migrants' "trauma continues" and the fact that the Italian authorities have not allowed them to disembark makes them feel "even more insecure, and insecurity is at the basis of fear," which can "develop serious psychological problems: obsessive disorders, anxiety, sleep disorders, depressive states." The serious frustration and exhaustion endured by the asylum seekers is psychologically "devastating," said Sgarlata. Almost all those aboard come from war-torn areas and have lost relatives or parents, he said. They have left to find a better future, enduring "journeys that lasted months to reach Libya and very often they crossed desert areas for days and saw their travel companions die. 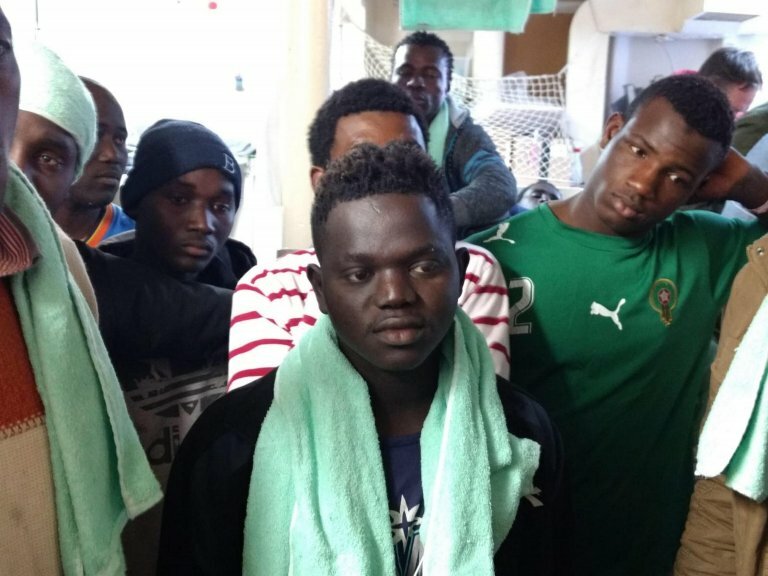 Once they reached Libya, they were imprisoned, tortured" and had to ask family members for "money to board the ship", said Sgarlata, describing the men as having "physical and psychological scars. A boy told me that he lived in a small room for days with 50 people." Some of them died and were left in the room "for two or three days," he explained. The 47 migrants risked death in the Mediterranean before being rescued by the Sea Watch, which was a "moment of joy and happiness." Now they are "[floating] off Siracusa, waiting for an order to disembark," noted the psychiatrist. "Clearly, it is a situation they are unable to understand because they think that 50 people cannot alter Europe's geo-political equilibrium.They can't understand the strategy of keeping 50 people hostage to obtain a fair redistribution of migrants by Europe." The ship was allowed into Italian waters on January 25 due to bad weather conditions in order to guarantee the safety of the people on board. The situation is making those on board "very insecure", said the psychiatrist. He interviewed 10 migrants, including five minors, while he was on board. "Often, after talking, they ended up crying" while recalling their experience, he said. And uncertainty makes things worse, said Sgarlata: "They wonder whether they will disembark or whether they will remain here or, even worse, if they will be taken back to Libya." There are 15 minors aboard the Sea Watch, he noted, some so young that "I wouldn't even send them to buy a newspaper in a neighborhood close to home if they were my children; even though they have crossed the desert, they have been imprisoned, abused and hit to obtain money. They have lost a brother or friends during the trip," he concluded. "It's a miracle that they are alive - it's a crime to keep them on that ship".